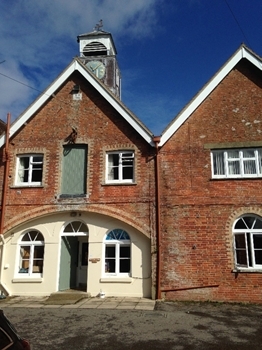 New Forest National Park Authority: Pure Town Planning are pleased to announce that we have just secured listed building consent for the installation of a replacement internal staircase within a Grade II listed curtilage building situated near Ringwood within the New Forest National Park. The property, which is an attractive Victorian farmhouse dating from 1876, is situated with the grounds of the 15th century Bisterne Manor and is used as a residential care home by the Stable Family Home Trust who provide high quality residential accommodation for young adult children with learning disabilities. The building, which was converted into its current use in 1980, has eight bedrooms, a large lounge, kitchen/dining room, four bathrooms and a large secluded garden to the rear. The proposed development consisted of the replacement of the existing sub-standard internal staircase dating from the 1970’s which had a narrow tread and very steep incline, which often made it difficult to use by ambulant disabled occupiers and visitors to the building. Therefore the new staircase, which was designed by Design and Development Associates, increases tread width and substantially reduces the incline to improve the accessibility of the upper floor for all users of the building.